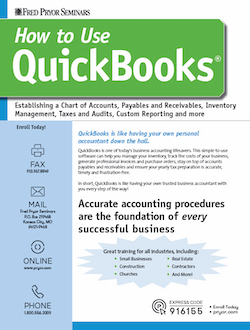 QuickBooks is one of today's business accounting lifesavers. 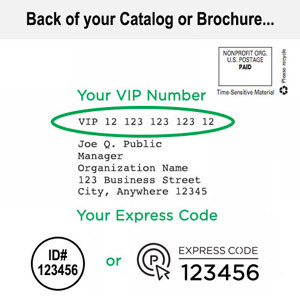 This simple-to-use software can help you manage your inventory, track the costs of your business, generate professional invoices and purchase orders, stay on top of accounts payables and receivables and ensure that your yearly tax preparation is accurate, timely and frustration-free. QuickBooks training is like having a trusted business accountant with you every step of the way! Master QuickBooks in just one day of focused, information-packed training! You could trudge through QuickBooks manuals … slog through tutorials … or just wing it and figure it out as you go along. But why bother, when you'll learn everything you need to know in this comprehensive seminar? By the end of the day, you'll be a virtual QuickBooks expert — able to set up QuickBooks and get a grip on all of your financial data for the benefit of your business. In this seminar, we'll get you up to speed on QuickBooks' many features, tools and menus; explore the easiest, most efficient ways to put QuickBooks to work for you; and drill down into more advanced functions. You'll be surprised at how swiftly you'll gain the knowledge and confidence you need to take full advantage of this powerful program!